When the zombie apocalypse struck, intrepid American bulldog Riley quickly discovered it was up to her to keep the pack safe. 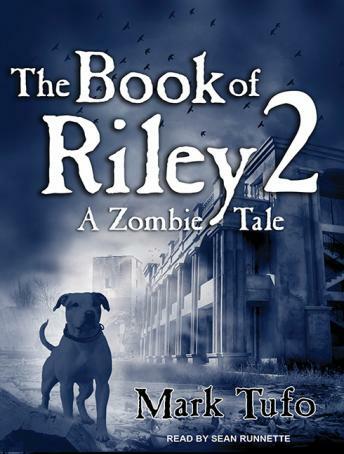 Together with Yorkshire terrier Ben-Ben and former archenemy Patches the cat, Riley helped to keep the zombies at bay while favorite human Jessie traveled cross-country to find safety for herself and her baby brother, Zachary. But after a long journey, Riley and the gang arrive in Las Vegas-one of the few remaining inhabited cities-only to find that it has been taken over by a group of thugs who rule through fear and brutality. Making matters worse, ruler Icely and his gang have taken to staging dog fights as popular entertainment, and Riley catches their eye. With Riley forced to fight for her life and Jessie locked up in the home of Icely himself, the future is uncertain. Will Riley save the day once more and help her pack escape to safety?